America is a not a place. It’s a concept, an idea. Without the idea we’re just real estate that can be given away or sold to the highest bidder. Part of the idea is that we are a sovereign nation. Changing what that means is a hard sell, but the left is determined to get the job done and to abolish America as we know it in the process. The goal of a rapidly escalating war waged by self-serving Democratic Party dissidents is to open the country wide and divide the economic real estate as they see fit. Just because conservatives think this is wrong doesn’t mean we will win the fight for sovereignty. Even liberal Democrats have to worry whether they are extreme enough to stay in office. Are we a set of values or property to be divided and bartered away in exchange for political office? That’s a question we’ll come one step closer to deciding this year. Activist Democrats are encouraging confrontation on a national scale to get what they want. When the inevitable violence happens they will hold themselves blameless while the militant anarchist, anti-fascist groups they inspire will be left holding the bag. The power of the militantly aggressive left was just proved by a scary primary upset in New York that foreshadows what might be on the minds of Democratic voters this November. Those of us on the right are eager to get rid of Congress’s liberal dinosaurs. We should think hard about who and what comes next. Bernie Sanders stirred up the country in the 2016 race. Now another socialist cut from the Sanders mold has unseated a long time New York congressman. I’m sure Rep. Joe Crowley is spending a lot of time ruminating over what this means. To his discredit the congressman has long embraced the kind of inflammatory speech that inspires anger and retribution against conservatives from extremists on his side of the divide. This time even that wasn’t enough to satisfy constituents. They chose Democratic Socialist Alexandria Ocasio-Cortez instead. That’s the Crowley we’re used to. We can shed a tear for his principles and then move on without him to defend our sovereignty because that’s what is really at stake. The woman who knocked him down is a socialist. She wants universal healthcare, a Federal jobs guarantee, free college, and gun control. She also wants to get rid of ICE2 like fellow New Yorker and gubernatorial candidate Cynthia Nixon. Nixon refers to the agency as a terrorist organization. That’s the kind of talk the ugly new face of the Democratic Party condones. When members turn on federal workers we know we have a problem. There are only five months to go before midterms. The left was just hit with two Supreme Court decisions that will segue from conservative wins to liberal attack fodder. One decision dealt a blow to big labor. Another said no to open borders at airport ports of entry. The stage is set for revolt. Even Black Lives Matter suddenly seems passé compared to the politics of direct confrontation we recently heard from California’s Maxine Waters. We thought we knew what to expect. Waters crossed the line. The scary thing about these remarks is not what he proposes, but the outrageous refusal to acknowledge who the agency protects, including jobless citizens and children targeted by the very same people Rep. Pocan and others calling for ICE’s abolition want to shield from law enforcement. And children should not be used as political pawns for reckless immigration enforcement policy. Most of us know that forcing people to “fight for their lives” and holding children in cages is not what America is all about. This is an unwarranted provocation yet Democrats feel justified in sending the message to extremists months before the nation decides who will make laws that protect our sovereignty. Anti-fascism, anarchist extremism, or domestic terror? The Antifa playbook will be the last resort for liberal left politicians who want to abolish the American idea once and for all. The agency also warns of anarchist extremism and the fact that opportunity is usually “event-driven.”6 We saw disruptive, even violent behavior that came close to that during the election, Trump’s inauguration, and at conservative rallies since. The right has its fringe too. Extremists on both sides are guilty of advocating violence. What’s different about the current dissent of the left is that there are voices in our politics supplying fuel for confrontation on a national, even global scale by manipulating the Democratic Party’s overwhelming hatred for America’s president. Those voices aren’t coming from the fringe. They’re coming from Capitol Hill, current and former public officials, and high-profile state election races. While we hear more demands from Congress to abolish ICE the Daily Signal reported on Antifa followers who recently outed ICE agents on social media. Maxine Waters’ very public targeting of Trump administration officials is emblematic of Democrats swinging dangerously far to the left. It’s no surprise that the party wants to put its arms around people who will never rise above where the Democratic Party needs them to be. It’s also no surprise that socialist ideals that are the antithesis of limited government are now the favored piece of cake to toss to the masses. As we open our borders wide and promise the world an American life supported entirely by government we will abolish America. That’s the goal of the militant left, but only the politicians who encourage insurrection will ultimately profit. Everyone else will lose. 1. “Chairman Crowley Statement on Supreme Court’s Decision on President Trump’s Muslim Ban.” The House Democrats. June 26, 2018. https://www.dems.gov/chairman-crowley-statement-supreme-courts-decision-president-trumps-muslim-ban/, retrieved June 27, 2018. 2. “Alexandria Ocasio-Cortez’s Platform.” Ocasio2018.com. https://ocasio2018.com/issues, retrieved June 29, 2018. 3. “Following Trip to Southern Border, Pocan to Introduce Legislation that Would Abolish ICE.” Mark Pocan. June 25, 2018. https://pocan.house.gov/media-center/press-releases/following-trip-to-southern-border-pocan-to-introduce-legislation-that, retrieved June 27, 2018. 4. “It’s time to abolish ICE.” Earl Blumenauer. June 26, 2018. https://blumenauer.house.gov/media-center/enewsletters/its-time-abolish-ice, retrieved June 27, 2018. 5. “Domestic Terrorism The Sovereign Citizen Movement.” FBI. April 13, 2010. https://archives.fbi.gov/archives/news/stories/2010/april/sovereigncitizens_041310, retrieved June 28, 2018. 6. “Domestic Terrorism. Anarchist Extremism: A Primer.” FBI. November 16, 2010. https://archives.fbi.gov/archives/news/stories/2010/november/anarchist_111610/anarchist_111610, retrieved June 28, 2018. 7. “About.” Torch Network. https://torchantifa.org/about/, retrieved June 27, 2018. 8. “Support Our Work.” It’s Going Down. https://itsgoingdown.org/shop/, retrieved June 29, 2018. Image: Pavel Filonov. 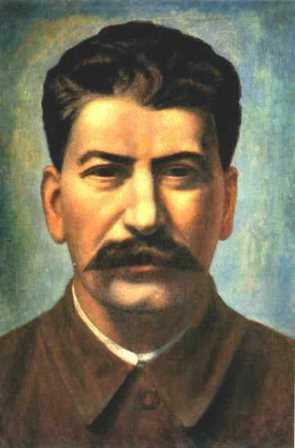 Portrait of Joseph Stalin (Iosif Vissarionovich Dzhugashvili) https://www.wikiart.org/en/pavel-filonov/portrait-of-joseph-stalin-iosif-vissarionovich-dzhugashvili-1936, retrieved June 28, 2018.